Confidence in the integrity, ability, character and truth of a person or thing. “I believe a solid foundation of trust is the single most important element in building a sincere and genuine relationship with my clients”. 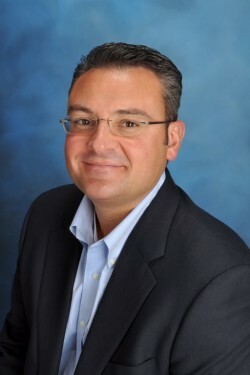 Pasquale began his career 17 years ago at Fidelity Investments. There he was a Retirement Specialist on the defined benefit pension plans and 401(k) plans of their fortune 500 company clients. Fourteen years ago he moved from the corporate side and went on to helping individuals, families and small businesses with their investing and financial planning as a Financial Advisor. After working at one of the largest investment banks, Merrill Lynch and a top regional brokerage A.G. Edwards, he started his own practice, Russo Financial Management as an independent financial advisor. He holds the CRPC® designation, Chartered Retirement Planning CounselorSM which is a reflection of his commitment to ongoing education and to the retirement planning process in particular. As an Independent Financial Advisor and operating my own practice, I am not influenced by any company or anyone to recommend certain products or services. Unlike some of the Wall Street brokerages where that corporate bias is evident, my clients only receive financial recommendations that are in their best interest. I build relationships with clients and provide customized investment strategies based on their financial needs. Most of my clients are individuals and small business owners who lack the time, resources, or expertise to manage their investments and value the professional guidance of an advisor. Together, we develop a plan based on their goals and dreams. We take into account the assets they have available to work with, their time horizon, and the type of lifestyle they desire (both before and during retirement). I analyze and plan for key components of their “financial life” that seek to resolve issues regarding retirement, college planning, health care concerns, life insurance, cash flow/budgeting needs, employee stock options and many other short and long term financial goals. For issues pertaining to estate and trust planning as well as tax planning I work as a team with accountants and attorneys to leverage their expertise in these areas. Although I have my own network of these professionals, I also work with the existing advisors clients may already have. Independent Advisors can be considered a different breed. Unlike some of the firms on Wall Street, just coming out of college and starting as a trainee is often not an option. You likely need a certain amount of years of experience, a clean record and a certain size business. The decision to start my own practice was primarily to gain the freedom that allows me to service my clients and offer them the objective advice they deserve. As an independent advisor, I work as an independent financial advisor associated with broker/dealer LPL Financial as opposed to me being employed for the Investment Bank or Broker/Dealer. By being an independent financial firm, we are free from inherent conflicts of interest from proprietary product sales, and are able to provide our clients with unbiased advice. Clients know I operate in an open-architecture environment, where I am not restricted by the investments or services I can offer. When I recommend an investment, my clients know that it is in their best interest and not in the interest of an employer I work for or what they are recommending. To ensure all clients receive exceptional service and goal-based performance. Performance is personal. Therefore, I strive to achieve the performance goals that my clients set. Goals and risk tolerance differ from client to client. I act as a total resource for my clients by utilizing the breadth of services, specialists, and non-proprietary products to help them pursue their goals. I review our performance in order to assure we are on track, and make any appropriate portfolio upgrades deemed necessary. I use an asset allocation consisting of equities, fixed income and short-term money market instruments, commodities, real estate investments and alternative investments in order to properly diversify client’s portfolios. More fixed income is used for conservative investors (or for those with the need for current income or with a shorter time horizon). More equity is used for aggressive investors with longer time horizons. Commodities, real estate and alternative investments are used for hedging and compliment the portfolio as they have low correlations to other investments. Rebalancing portfolios on a semi-annual or annual basis helps ensure that the percentages originally allocated to each asset class do not become over or under-weighted at any time in any particular asset class or sector. In areas such as small caps and international, I leverage portfolio managers that specialize in these areas. At certain asset levels, I can access top tier private money managers from across the nation at low cost with increased tax efficiency.